How To Shoot A Basketball Perfectly: Do THIS to Shoot Like Steph Curry! 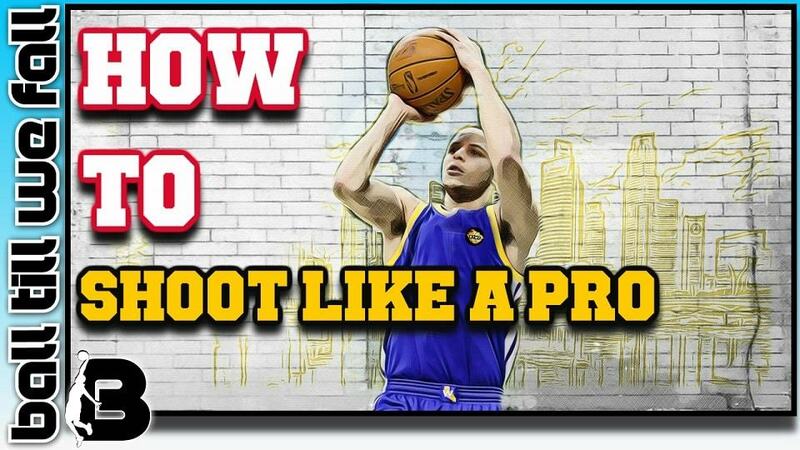 This work, "How To Shoot Like A Pro ", is a derivative of "Stephen Curry" by Keith Allison , used under CC BY . "How To Dribble Like A Pro" is licensed under CC BY by BallTillWeFall.com. Of course you want to learn how to shoot a basketball, one of the greatest feelings in the game of basketball is scoring points. I mean what baller doesn’t like to knock down a clutch shot for their team? However, to score points, you have to know how to shoot a basketball properly. What makes scoring even better is when you see that picture perfect form as you hold your follow through as the ball is going through the net. All pro shooters have a "feeling" when they take a shot of whether or not the ball is going in the hoop. They learn this from repetition of taking thousands of shots. They know how their body feels when the shot feels good, and how it feels when the shot feels bad. This article is going to cover how to get "that feeling". The feeling of being aware when you have bad form and how it affects your shot. And that feeling when you can pull a Steph Curry and not even watch your shot because you know it’s good. 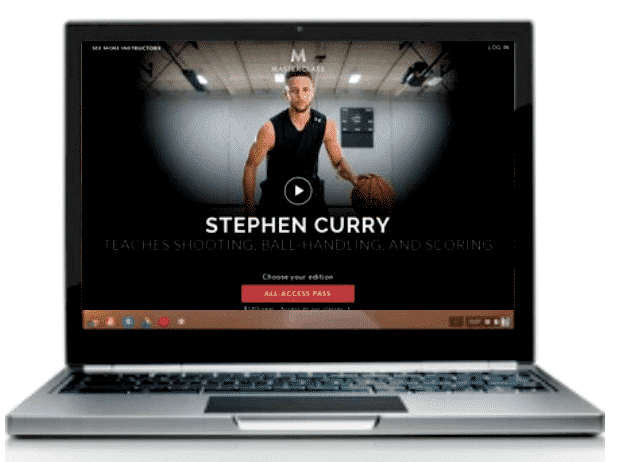 DID YOU KNOW THAT STEPH CURRY NOW HAS HIS OWN ONLINE BASKETBALL TRAINING SYSTEM. 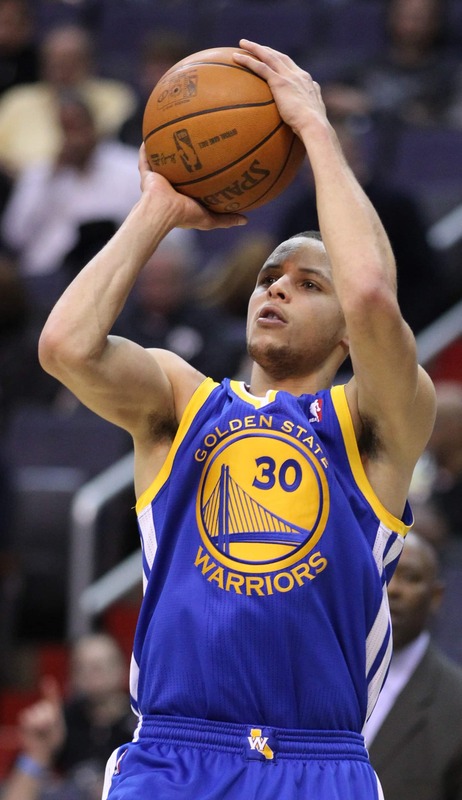 Do You Want To Learn How To Shoot Like Steph Curry & Other Sharp Shooting Pro's? But Steph didn’t just wake up one day as the greatest shooter in the history of basketball. He had to perfect his form and practice like crazy. That’s where we are going to start – breaking down the basics of proper shooting form – and end with moves you can master to help you become the next Steph Curry. 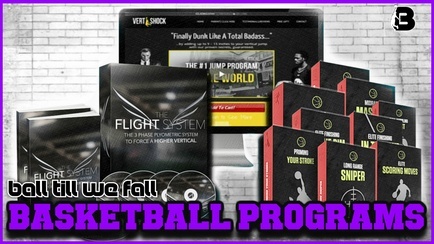 I will also introduce you to some of the best basketball shot training aids that can help you on your journey. 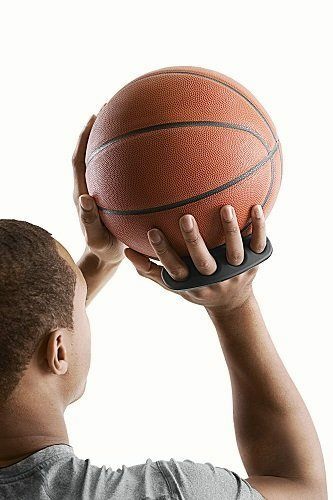 The popular SKLZ Shotloc Basketball Shooting Trainer made famous by Steph Curry forces players to keep the ball off the palm of hand. This simple device also promotes proper release and follow-through by spreading fingers for better ball stability. A must have for any serious baller. However, we want this to be the "ultimate guide to learning how to shoot a basketball better". So get ready to learn as we break down the blueprint to the perfect jump shot step by step. In order to learn how to shoot correctly you must first learn the fundamentals. Get the fundamentals down and the level of everything else you do will rise. If you stay dedicated and put in the time to master the following components of shooting you will be well on your way to becoming a scoring machine. Start in triple threat position with your basketball. You want to start in triple threat because you don’t want to tell the defense you’re shooting the ball. If you’re in triple threat position, you can dribble, pass, or shoot – and this keep your defense guessing of what you’re going to do. Don’t make it easy on them by making it obvious what you’re about to do. Check out the awesome video below of the G.O.A.T (Michael Jordan) teaching how to shoot a basketball accurately out of the triple threat position. The SKLZ Rapid Fire II Make or Miss Ball Return helps you get more shots up in less time. 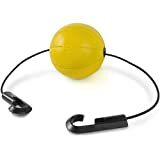 It instantly returns balls from any angle and can be set up in and removed in minutes. One big thing to remember while you’re shooting is that you’re also jumping. Hence it’s called a jump shot. The biggest thing to make sure of is starting and finishing in the same spot. When you jump to shoot, you want to land in the exact same place as where you started (this does change a little as you increase your shooting range, but we will discuss this a little later). If you aren’t doing this then most likely you’re shooting off balance which also means you’re shot is not as strong. To not have balance and strength will be a HUGE problem when you’re trying to score points. Here is a great video of one of the all-time great shooters Ray Allen explaining the importance of using your legs during a jump shot. The key to being a good shooter is balance. Everything follows balance. You want your feet are hip width distance apart and pointed towards your target. This gives you excellent balance and strength for your shot. And obviously pointing towards the goal means you’re shooting in the right direction. One thing that you must master in order to learn how to shoot a basketball perfectly is to learn how to execute "the hop". Basically, the hop is a reactive hop that set's up the shooter with perfect alignment every time. Here is a great video by Doc Schepple that shows exactly how to master the footwork required to become a better shooter in any situation. With your shooting hand, spread your fingers behind the ball with it resting on your fingertips. You want a little bit of space so that the ball is not resting on the palm of your hand. Your non-shooting hand should be on the side of the ball to help guide it. It doesn’t do any work other than that. It has the easiest job! As you start moving the basketball up to shoot, keep your elbow under the ball. You basically want your arm to create an “L” as it moves. In order for it to be an “L” that elbow can’t kick out sideways. Here is a great video outlining how to obtain a great shooting position by correcting shooting elbow position. The SKLZ Square Up Visual Shooting Mechanics Trainer provides visual aid to teach the correct ball rotation and alignment. It also encourages proper hand placement while shooting. 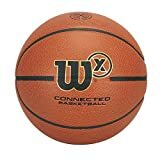 Best yet, it fits both men's and women's size balls and is very affordable. 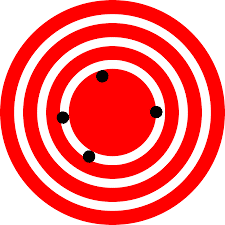 To optimize the accuracy of you shot lock your eyes on the center of the hoop. The center of the hoop gives you the best margin of error. Take a look at how Clay Thompson targets the hoop with his eyes in the video below. As you release the ball, your arm should be extended in a straight line. As the ball leaves your fingertips, flick your wrist down like you’re reaching for cookies in the cookie jar above your head. Bio-mechanical studies﻿﻿﻿﻿﻿﻿ on the jump shot have revealed that a greater ratio of height of release to standing height is related to higher skill. Notice the angle and timing of Steph's release. Yep, Steph has mastered both the art and science of the jump shot. Check out this awesome video from Sports Science which breaks down Steph Curry's jump shot. When the ball is out of your hands, freeze and do not move. Hold your follow through until the ball hits the ground. When it comes to learning how to shoot a basketball better, your body can be your best teacher. Take note of the alignment of your follow through and adjust accordingly. Are your feet hip width apart? Do your toes point to the goal? 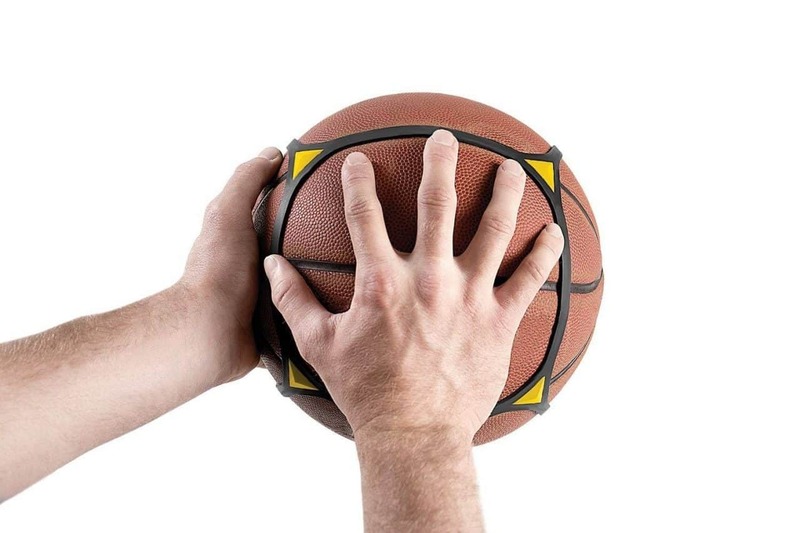 Is the basketball resting on your fingertips or palm? Does my elbow create an “L”? Did you flick your wrist on the release? Are you jumping straight up and down when you shot? Now how pretty does that form look? Just think how pretty it’s going to be when you have that form and you make the shot. Make sure to get a picture of your follow through. Every baller needs to see their follow through form! Not only does correct form follow all the right steps, but a baller wants perfection. Once you get the form down it’s time to focus on how to shoot a basketball perfectly. Perfectly meaning accurately and at different distances. To get better accuracy with your shot, you have to put in the time and effort. Like I mentioned earlier, Steph Curry and other leading shooters in the NBA didn’t just wake up one day a great shooter. He didn’t wake up with excellent accuracy. He put in hours upon hours of shooting. And this is what you’ll need to do too. Find yourself a great friend or a great shooting machin﻿﻿﻿e. What you’re looking for is someone or something that can help you keep track of your shooting during a training session. How many shots are you making? How many shots are you taking? 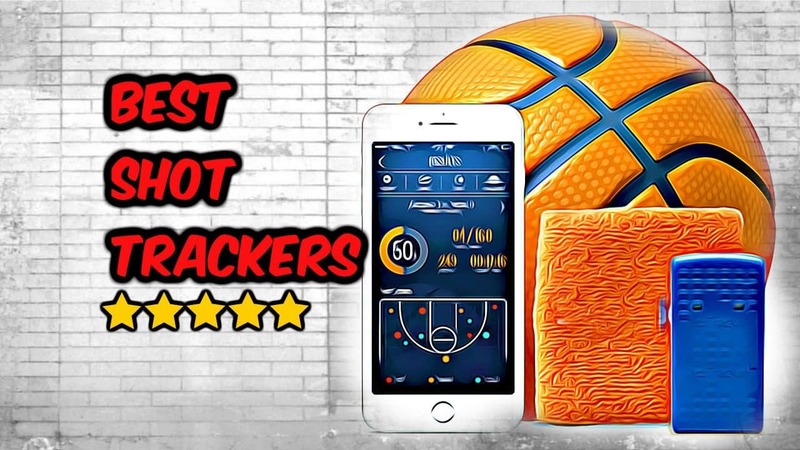 We have reviewed the best basketball shot trackers available. if you want a simple way to keep track of your shooting performance and progress they are well worth a look. Learn more here. 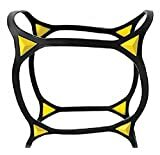 The SKLZ Basketball Shooting Target improves accuracy by providing a visual target while shooting. It does not alter the flight of the ball and is very simple to attach to the hoop. You need to keep track of this so you can see your improvement in terms of numbers. Yes, your shot can feel great and you feel like you’re improving. But you need to see the results in terms of statistics. As a baller, you’re only competing against yourself when it comes to accuracy. Challenge yourself each day and know you’re goal of what you’re trying to reach with your shooting – and then try to BEAT it. Are you trying to make 500 shots every day? How quick do you want to get there? Every great basketball player had a goal for every workout. Write it all down and get to work. Don’t settle for just reaching your goal. Beat your goal so you can pick a new goal. Here are a few popular online basketball training programs that you may find helpful on your journey to becoming a better shooter. To get better distance with your shot, you have to start close to the goal. Not everyone is going to have the strength to start out shooting three pointers. And you don’t want to rush the process of shooting from downtown because shooting from a distance can defer from your form. Start close and get warmed up then slowly move our further from the basketball goal. A couple of key things to think about when you start moving away from the goal is conditioning and your legs. You’ll need more juice in your legs so that there is power behind your shot. In order to get more juice you need to be in great shape and have a strong lower body. If you want to gain basketball specific strength definetly check out the #4 program o﻿n this list! If you don’t have enough power in your legs then your shots will start falling short. As a baller, you don’t want that. If you’re using more upper body to shoot the long shot then you’re doing it wrong. If you really wan't to learn how to shoot a basketball farther you must start to focus on your legs, and make sure you’re power is coming from your legs rather than trying to do it all with your arms. If you can get your body strong enough then it’s easy from there. All you have to do is practice shooting at long distance so that your body can learn the natural body mechanics it takes to shoot from that range. TIP: Never sacrifice form for range! This can create bad shooting habits that are very hard to break. You have to train your body so that it’s an automatic shot with the same form as if you’re shooting at mid-range. Here is a great video of Steph Curry working on accuracy and distance in one drill. 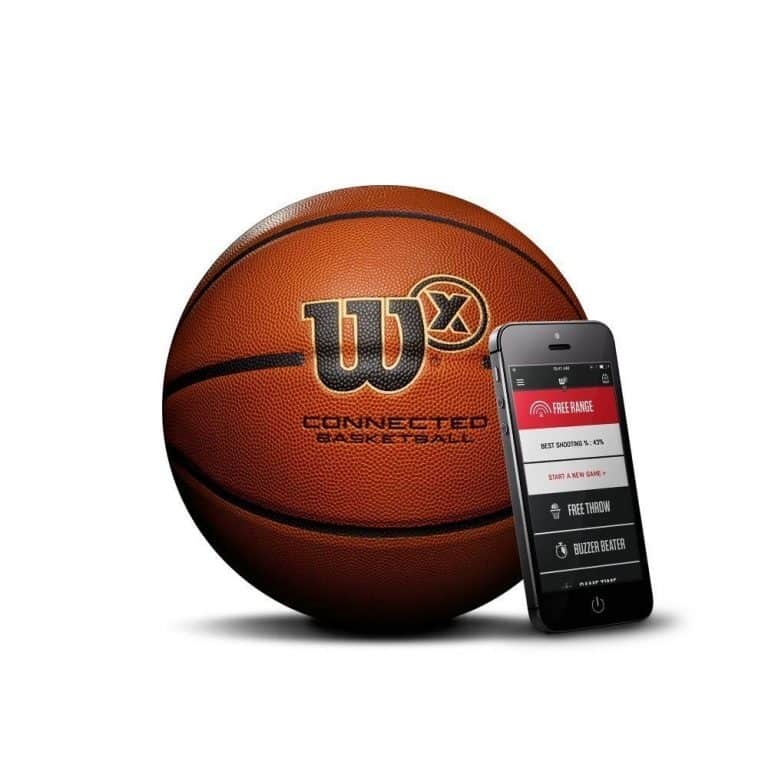 The Wilson X Connected Smart Basketball tracks your shots on any court with a secure net. You can also have some fun in buzzer beater mode and other challenging games. This is definitely a must have accessory for the serious baller. We’ve covered the basics on how to shoot the basketball – and we just wrapped up the best way to perfect shooting through accuracy and distance – now it’s time to talk about how to shoot a basketball better in a game situation. And that way is through different types of moves - sometimes you’ll catch a great pass from your teammate and other times you’ll create your own shot off the dribble. Either way to shoot a basketball better in games you have to be ready for both situations. Every shooter needs to master the art of catching the ball off a pass ready to shoot. Whether it’s catching a pass in transition for a shot or coming off a screen for a shot, there is one thing in common: you’re catching a pass from your teammate and you need to be ready to shoot! To do this, practice catching the ball with your feet already in position for a shot, or in other words catching to shoot. >>> If you want to become a great scorer checkout The Scoring Academy as enrollments are now open! As a shooter, you can’t afford to waste any time. Your feet need to be ready to shoot as soon as the ball hits your hands. If it takes you extra time to get your shot off then chances are it is too late and your open shot is gone. Not every shot is going to come off of a great pass from your teammate. There will be situations where you need to create your own shot off a dribble. Different game situations will force you to do different things and you have to be ready to read the defense and make the play. To do this, practice dribbling moves that finish with shooting the ball. Much like catching to shoot, you can’t afford to waste any time. When you’re dribbling into your shot, your eyes HAVE to be focused on your defender so you know when it’s time to pull up your dribble for your shot. Visualize reading your defense and pulling the trigger to shoot the ball. You want this motion to be seamless and quick so your defender doesn’t have time to get a hand on the ball. 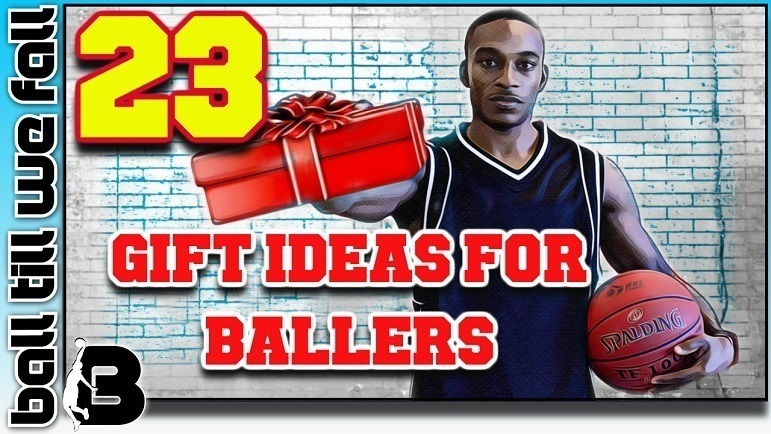 Here is a great video by Augie (creator of the super popular Scoring Academy (learn how to get a massive discount >>>here) that breaks down both of these game situations. We should call this part How to Shoot like Steph Curry. You’ve heard me refer to him several times in this article and this section is no different. Curry is quickly rising the NBA ranks as one of the all-time great shooters and still has many productive years ahead of him. He has mastered the art of shooting lay ups to shooting from half court. Defenders have to respect him as soon as he crosses half court because dude has range for days. How do you get range like Steph? You put in the gym time and train like a champion. Steph has made himself into the best of all time by repetition, repetition, repetition. Everything we’ve talked about in this article can be seen in his game. 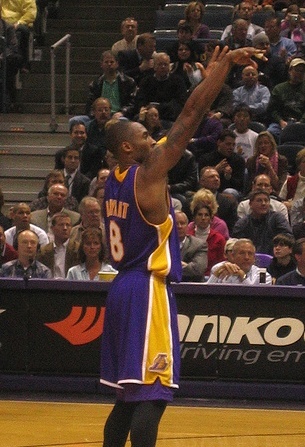 He has perfect form – and most of the time he holds his follow through until the ball is through the net. Unless of course, he isn’t watching it because he already knows he made the shot. If I could put this article into pictures, it would be these clips of Steph showing the whole package – accuracy and range, off the pass and off the dribble, and of course that pretty form. If you need a little more inspiration on your journey to becoming a better shooter check this video out! 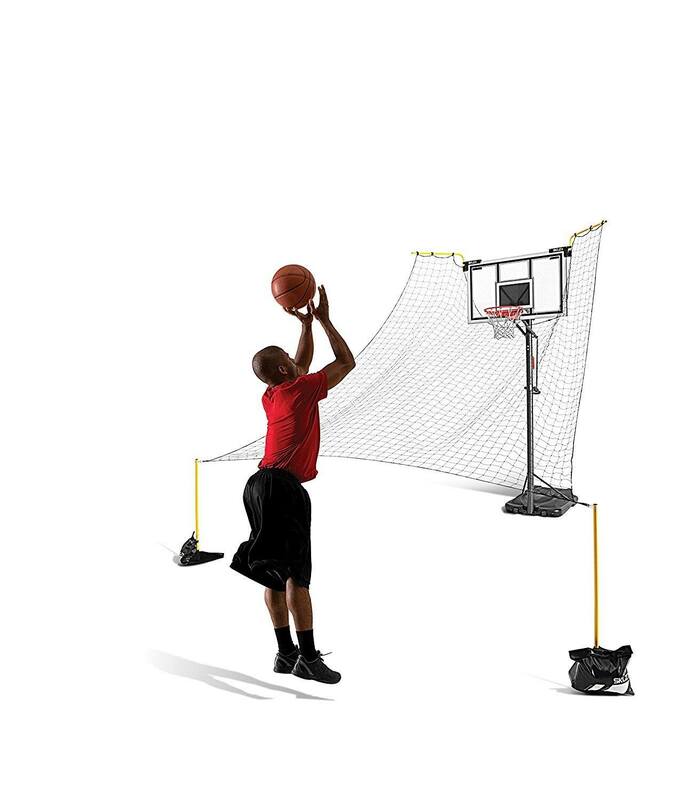 The SKLZ D-Man Basketball Trainer is the perfect practice partner. This product replicated defensive pressure and helps perfect your arc. The D-Man helps you visualize the opposition so you can practice independently. You Now Know How To Shoot Like A Pro. Now Get To Work! Hopefully, this article has given you great insight into how to become a better basketball shooter. As you can see, the major take-home message is that perfect practice makes for a perfect jump shot. There are no real shortcuts when it comes to becoming a great shooter like you favourite NBA stars. Like most things in life, you will only get out what you put in. 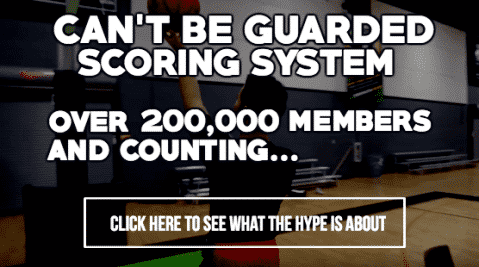 Check it out>>There are also a few great prepackaged online basketball training programs available that can help you become a better scorer. 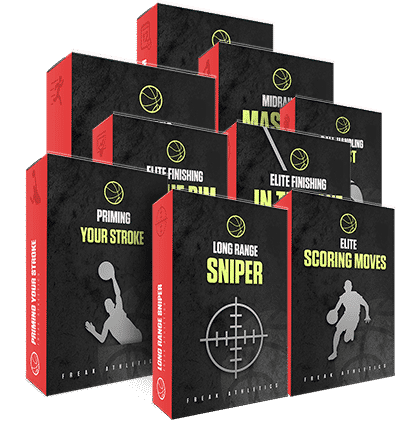 These programs are very affordable (some are currently discounted by up to 80% so don't miss out) and do a great job of taking you by the hand and guiding you step by step on your journey to becoming a scoring machine. 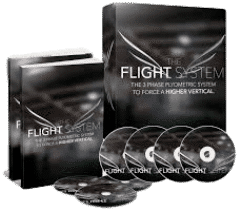 Some people find these ﻿﻿programs helpful as they are prescribed in a linear fashion with all the drills layed out in an easy to follow format on your computer or smart phone. If you want to check out some of the top rated programs currently available on the market be sure to check out this comprehensive comparison page.